Well, this week sure makes up for last week's empty mailbox. I got three books that I mooched through BookMooch. I love BookMooch. If you like to trade books, you should check it out. And then on Friday, I got a box full of books from Scholastic Canada to the delight of my kids. When Lady Constance Morrow finds herself held against her will aboard a ship bound for the American colonies--a ship filled with "tobacco brides" and felons--she is quite sure that as soon as she arrives she will find a reasonable man who will believe her father is an earl and send her back on the next ship to England. Instead she meets Drew O'Connor, a determined Colonial farmer who is nearly as headstrong as she is. Drew wins Constance as his bride but soon realizes he has taken on much more than he bargained for. As the youngest De Angelis daughter, Gaby has always had to vie for attention with brainy, holier-than-thou Anna, and bohemian, beautiful Maria. Yet in her heart she cherished the hope that she was her father Enzo's favourite. On the day Gaby's first baby, Kitty, is born, Enzo suddenly dies. 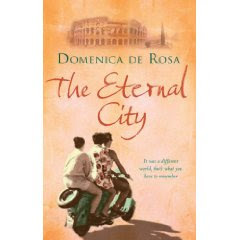 Before the new family have had chance to bond they are plunged into the thick of the wider clan, as Gaby's sisters devise a plan to bid their father farewell in his native Rome. But their interpretations of his wishes differ as much as their wildly conflicting advice on the fraught early days of motherhood. And in the heat and bustle of Rome itself, Gaby encounters once again the man everyone thought she would marry. Suddenly all Gaby's certainties are shaken. 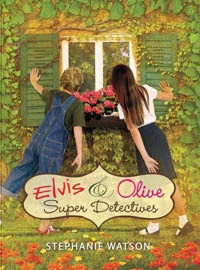 In the sequel to Elvis & Olive, Natalie and Annie open the E & O Detective Agency to solve neighborhood mysteries. And they find no shortage of people who could use their help. Albert Castle needs a hand with song lyrics, and Ms. Hatch is looking for a lost flip-flop. 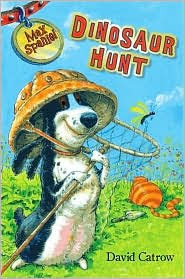 Mrs. Warsaw is desperate to find the mysterious Zadie Zeolite, and a lost dog needs help finding his way home. In addition, Natalie is searching for a way to win the Student Council election while Annie is on a quest to find her mom. Will the biggest cases they have to solve be their own? It’s the worst summer on record for nearly-twelve-year-old Callie Boone. Not only has she been ditched by her best friend for someone more "awesome", but she may never live down her recent humiliation at the community pool. Her ex-drillsargeant mom is on her case, and her uncle Danny has moved in--along with cages of ferrets that he hopes to make his fortune breeding as pets, and which Callie’s cranky grandma despises. The only things keeping her afloat are dive practices with her dad and a secret Olympic dream. That is, until a boy named Hoot moves in next door. But just when everything finally seems to be going her way, disaster strikes--one day she comes home to an ambulance in the driveway... only it’s not her crotchety old grandma who’s being taken away, it’s her beloved dad. Now it’s up to Callie to grow up fast and hold on tight to what matters most: her friendship with Hoot, the love of her family and a newfound belief in herself. This is a story that will make readers laugh and cry. 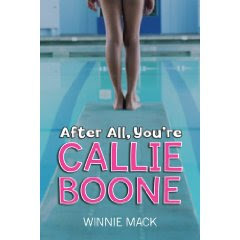 There are no magic spells or paranormal characters, and the only fantasy is Callie’s athletic dream. It’s real, honest, crazy everyday life with all the joy and the agony that come with the territory. When Jackie Robinson retires from baseball and moves his family to Connecticut, the beautiful lake on their property is the center of everyone’s fun. The neighborhood children join the Robinson kids for swimming and boating. But oddly, Jackie never goes near the water. 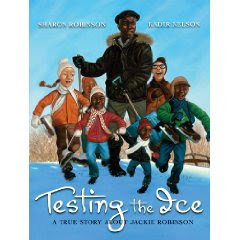 In a dramatic episode that first winter, Jackie is called upon to test the ice on the lake, to make sure it’s safe for ice-skating. But why, Sharon wonders, is he always so afraid to go near the water? In a stunning metaphor for Jackie Robinson’s legendary breaking of the color barrier in Major League Baseball, Ms. Robinson honors her extraordinary father’s memory with her warm, graceful storytelling. Two-time Caldecott Honor Book artist Kadir Nelson has created richly rendered paintings that radiate with the beauty and spirit of one of America’s finest heroes. 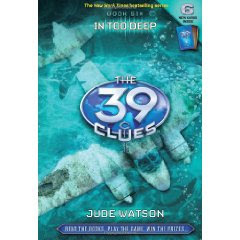 The hunt for the 39 Clues leads Amy and Dan to their most treacherous destination yet—a frozen land of Cahill secrets and betrayals. With danger chasing close behind, the siblings must track down one of history’s greatest lost treasures. Governments were toppled and rulers were killed during the last attempt to find it. Do Amy and Dan even stand a chance? Are some secrets better left buried? As Amy and Dan track the next clue to a remote corner of the world, they make shocking discoveries about the source of the Cahills’ power and the mystery of their parents’ deaths. And as the threat of the mysterious Madrigals grows real, one of the clue-hunters makes the ultimate sacrifice. Amy and Dan have to decide how much they’re willing to risk, and what they are fighting for. Can they avenge their parents—or are they following their fatal path? 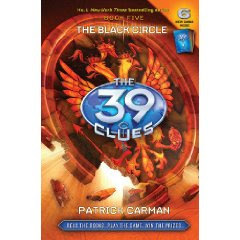 Eight-year-olds Tom and Jamie are on a hunt for adventure when they wander into a smugglerÂ’s long-abandoned secret cave. But they get a lot more than they bargained for! By following the fossilized dinosaur footsteps on the caveÂ’s floor, they are transported back in time to the thrilling world of the dinosaurs. There, they meet a friendly, puppy-like wannanosaurus and a not-so-friendly T-Rex. But they escape: safe, sound, and just in time for dinner! Max Spaniel is a daffy hound dog who one day decides to go on a dinosaur dig. But what Max thinks are dinosaur parts is just a lot of junk — or is it? 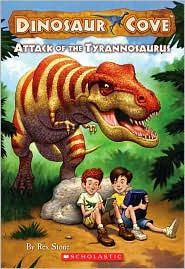 As Max puts his fossils together, readers will see how the random objects Max finds — including a football, a hockey stick, and an old boot — transform into a living dino! It’s the first day of first grade at Appleville Elementary, and the kids who are going to be in Miss Popper’s class are really excited. Well, everyone except Carlos, that is! He’d rather stay in kindergarten. Carlos decides he’ll go to first grade for one day only, and he’ll never come back. But when Miss Popper reveals that someone new will be arriving on the second day of school, Carlos can’t help but return. Who will the new arrival be? 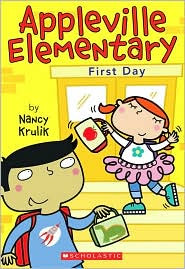 The simple vocabulary and sentence structure make this new series a perfect fit for readers who are ready for their first chapter book. What exciting books did you get in your mailbox? Nice mailbox! Elvis and Olive looks really cute! 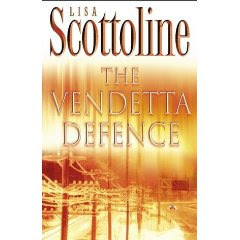 Lisa Scottoline! Good choice- she writes a wonderful book. Enjoy all your new reads. Great mailbox! Elvis and Olive looks adorable. My mailbox is at The Crowded Leaf. A Bride Most Begrudging sounds good. The kids book are cute too! You received a nice batch of books this week! Wow lots of nice books! I think I would enjoy the Jackie Robinson story. Happy reading! 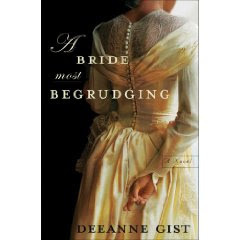 I've heard of A Bride Most Begrudging - I just put that on my TBR. Ohh, I can't wait to read your review! A Bride Most Begrudging sounds great! I'm adding it to my list!